Opt for bohemian glamour with our Cary bucket bag. Supple suede and smooth leather combine to luxe effect, while the adjustable strap makes it easy to carry cross-body. 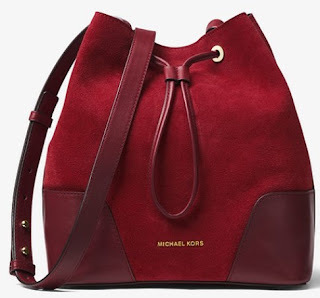 Team it with velvet and faux fur for a tactile-rich look. 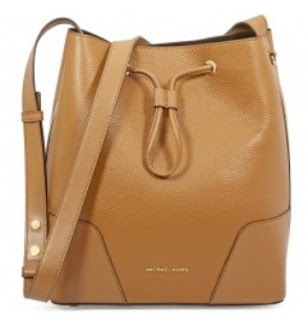 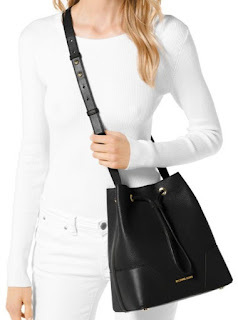 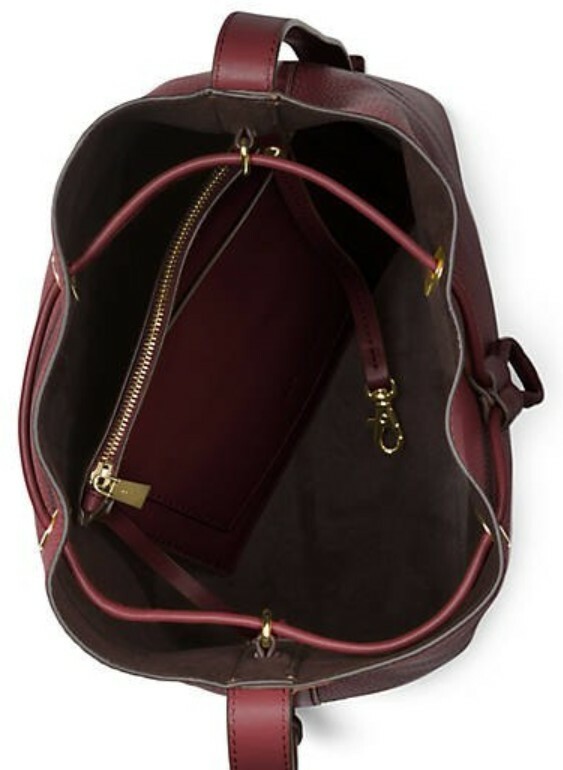 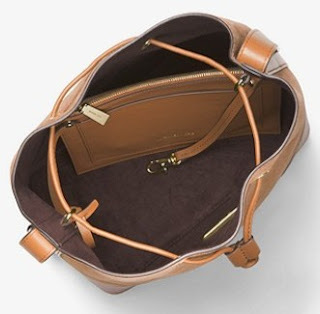 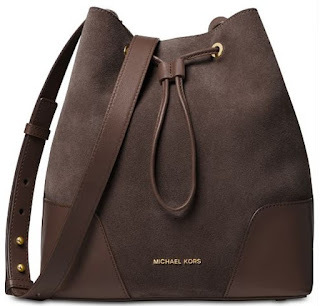 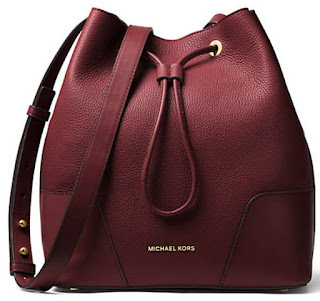 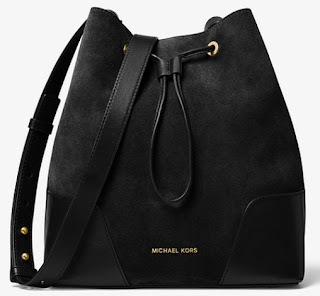 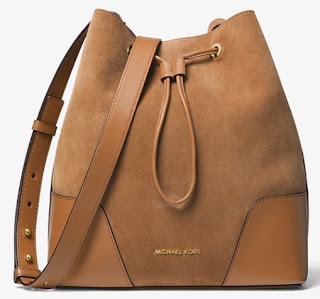 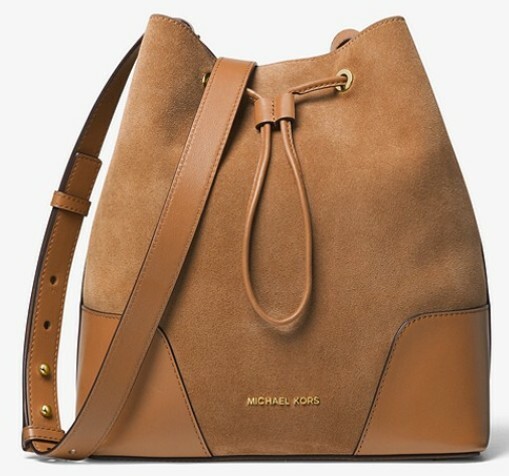 Be a fashionista when you carry this chic Michael Kors drawstring bucket bag detailed with gold-toned hardware. Adjustable shoulder strap with 20.5"